Someone Asked If I Have Had a God Moment. I've had many, but the question made me think specifically of Jacob wrestling God, how he walked with a limp thereafter, and how his name became Israel. You could say I too wrestled with God and in the end I too walk differently and have a new name! My struggle with God was during the process I went through in reconciling my faith with being transgender. But I still wonder why the solution to my deeply private struggle require I make such public and outward changes? I transitioned in 2008 at the age of 58, nine years after I was diagnosed with having acute gender dysphoria. The recommended course of action would include living full time as a woman for at least one year, hormone therapy, legal name change, and undergoing a final psychological evaluation before surgery would be authorized. At What Point Does One Throw In The Towel? More resumes were sent out today; I've stopped counting how many this makes. The reality seems to be that companies have embraced the web for recruiting and refuse to accept resumes and SVs delivered in person. 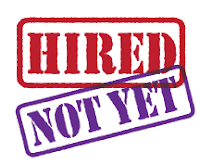 These virtual firewalls erected around the person(s) doing the hiring has made the process impersonal and unresponsive, perhaps proving that it is not what you know, but who you know that matters. Many friends have told me about the importance of networking. Others have suspected that my back story, which is not so secret, could be the reason for not getting any hits on my job applications. After all, in this internet age, little remains a secret for very long. Then, a fellow trans woman suggested to turn my transgender status into an asset. Will companies really see this as a positive, in the same way that hiring visible minorities or disabled persons can earn them valuable bragging rights about diversity and equality? My thoughts the day after Valentine's. I see so much judgement out there and it strikes me that the older one is as a transgender person, the harsher that judgement seems to be. It's as if people's attitude is, "You've lived with this up to now and it's too late for you to start making changes that make me uncomfortable, just take it with you to the grave and don't rock my boat!" Though it delights me to no end that transgender children are embraced with compassion and empathy when they transition socially, there is definitely a double standard when it comes to us who are older. Why can't society extend the same level of understanding to those who transition later in life? These are the ones who have "suffered" the longest with gender dysphoria and have significantly more challenges reworking their matured bodies to finally be able to experience congruence as persons. It makes no sense to me.